What Is Indiana's State Food? Indiana's cuisine echoes its Midwestern roots. Indiana is famous nationwide for its sports teams, and worldwide for the Indianapolis 500 race and its prestigious colleges. By contrast, the "Hoosier State" has a rather nondescript culinary identity, which reveals itself only under close investigation. 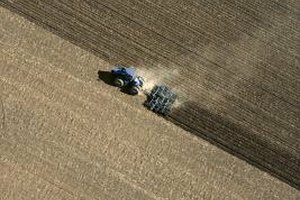 Indiana packs in more than 62,000 farms covering some 14 million acres, and produces traditional agricultural staples, such as corn and soybeans. Out-of-state visitors might be hard-pressed distinguish Indiana’s cuisine from broader Midwestern fare, a situation not improved by the fact that the state has no official state food. Since Texas enshrined chili as its official state food in 1977, 33 states have named official dishes, snacks and beverages. While Indiana does not have an official state food, Senate resolution No. 5 – passed in 2009 – logged sugar cream pie as the state’s official pie, following hot on the heels of naming water its official beverage. Confusion arose when celebrity chef Bobby Flay claimed the corn dog on behalf of the state during the buildup to Indiana’s Super Bowl XLI appearance. However, while corn undoubtedly features prominently on the state’s culinary landscape, the corn dog’s status is purely unofficial. Unofficial but ubiquitous, the pork tenderloin sandwich crops up throughout Indiana’s restaurants and diners, having been introduced to the state as wiener schnitzel by German immigrants in the 19th century. Nick Freinstein sold the first breaded pork tenderloin in 1908 from a food cart in Huntingdon, laying the foundation for Nick’s Kitchen, which opened the same year and still stands today. "Gourmet" magazine called breaded pork tenderloin more popular than hamburgers in the state, while the Journal Gazette likens its close association with a particular location to New England’s clam chowder. Sugar cream pie, also known as Hoosier pie, is a simple but delicious amalgamation of sugar and cream, bound with flour or eggs and flavored with cinnamon, nutmeg and vanilla. The pie is a favorite in mom and pop restaurants, and Indiana Foodways even organizes a Hoosier Pie Trail. This frugal dessert possibly originated from the simple-living Amish and Shaker communities who settled Indiana in the 1850s. The pie is also nicknamed “desperation pie” because of its lack of ingredients from outside the basic pantry. Trying a sugar cream pie was listed as No. 2 of 50 things to do in the state by Indiana Insider. A scattering of well-known, much-loved American products can trace their roots to Indiana. 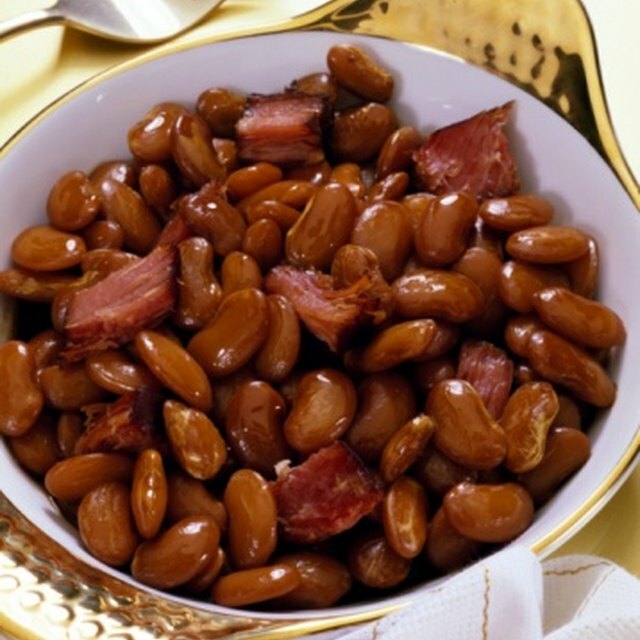 VanCamp’s Pork and Beans, for example, was first sold from a grocery store in Indianapolis in 1861. By 1909, the brand was the No. 1 canned pork and beans in the country, although it has since been surpassed by Bush’s. Interestingly, the company that acquired VanCamp’s was the first to produce Gatorade, a sports drink more readily associated with Florida. Equally impressively, Indiana played a crucial role in the popularity of baking powder, after Hulman & Company developed Clabber Girl Baking Powder in the late 19th century. The brand remains one of the oldest American brands still in use.